Newsletter Editor Barb Devlin is out of town, so this article contains highlights from our October 6 meeting as well as notes regarding upcoming events. Guest Natalie Landwehr (Best Buy) visited our club today. Natalie’s father is a Duluth rotarian, and Natalie has been involved with a high school Rotaract club. Tony Baldwin, from the Apple Valley Rotary, joined us today. AV rotary is selling raffle tickets for their annual foundation fund raiser. Welcome Tony. There were many happy dollars given today. Thank you for your generousity. In this world of increasing healthcare costs, aches, pains and sickness have become somewhat of a norm. All you have to do is watch TV to see all the advertisements for pharmaceuticals. 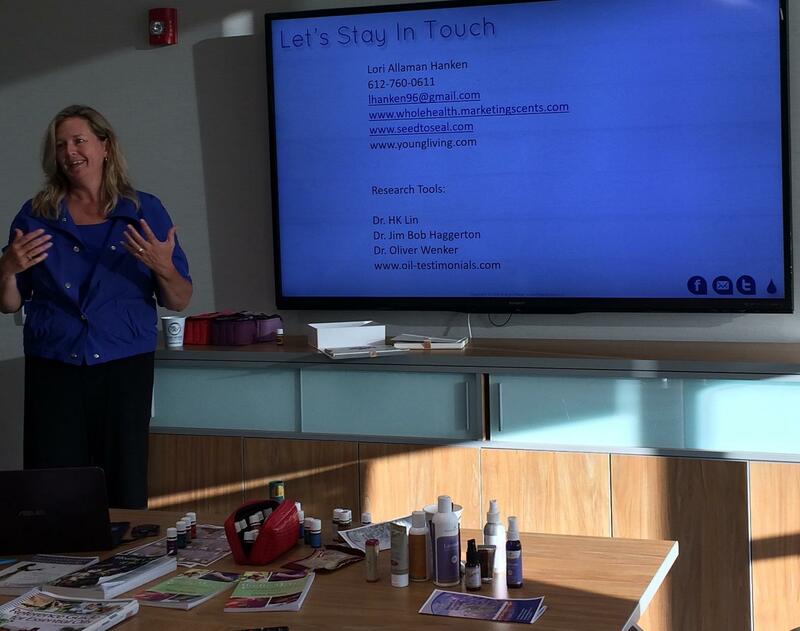 Guest speaker Laurie Allman Hanken explained that there is a natural wellness community that is "alive and well with options to help keep us physically and mentally well", and that essential oils "are a big part of that movement." Hanken noted that essential oils occur naturally in the environment, adding, "The next time you drive by a field of fresh peppermint or hike through a pine forest, breathe deeply—you’re experiencing the soul-soothing power of essential oils." Richfield Rotary Club Service Project Warm Hands, Heads, and Hearts-Wednesday, November 14th- 5:30-9:00 pm.